The big picture: Everyone knows that gaming continues to be a very hot category, drawing more eyeballs, hours, and dollars than virtually any other activity that most people engage in on their digital devices. From the runaway popularity of games like Fortnite, to the billions in revenue generated by Pokemon Go, to the staggeringly large audiences for eSports competitions and game streaming services like Twitch, gaming continues to have an outsized impact on the devices we buy and the services we use. In fact, Netflix recently summed things up nicely when they noted that the biggest competition for their video streaming services weren't its direct competitors, but games like Fortnite. The growing popularity of this week’s Gaming Developer’s Conference (GDC) and the range of new gaming-related announcements expected from that event furthers confirms it. What isn't quite as clear... which type of gaming devices and platforms are taking the lion’s share of people’s attention and activity? A new online survey of over 2,000 consumer gamers in both the US and China conducted by TECHnalysis Research shines some light on these critical questions. As it turns out, the top device categories are dependent on where you live, as illustrated in Figure 1 below. Survey respondents were asked to select which devices they owned and which ones they gamed on from 17 different device categories (ranging from Windows 10-based desktop PCs, to iPhones, to Android tablets, etc.). In addition, they were asked how much time they spent gaming on each device they owned. The combined results highlight that, in the US, PCs and smartphones were essentially tied (PCs had a fraction of a percentage lead), in terms of amount of total gaming time spent on each device. In China, on the other hand, PCs had a significant lead over smartphones, highlighting the importance that gaming PCs continue to have there. It’s also interesting to note that game consoles still command about 18% of overall gaming time in the US and were the third most common category, but only about 8% and fourth place in China (this stems in part from the fact that sales of gaming consoles were banned in China for many years). Interestingly, on an individual basis, Android phones were the top gaming device in both countries in terms of frequency of ownership, percentage that were used for gaming, and hours spent gaming. In the US, iPhones were second in terms of time spent gaming, barely edging out Windows 10-based desktops, whereas in China, Windows 10-based desktops had a clear lead over iPhones. The results split by platform show that Android is the clear platform leader in the US at about 28% share, but barely edged Windows 10 in China. iOS is the second most common gaming platform in the US, just ahead of Windows 10, but is in third place in China (though at a relatively similar 20% share). In addition to the individual device and platform results, a key takeaway from this new research study is that gaming has become very much of a multi-device and multi-platform phenomenon. On average, US respondents said they owned 5.5 devices and gamed on 4.4 of them, while Chinese survey takers reported owning 5.1 devices and gaming on 4.1 on average. Clearly, gamers are eager to extend their gaming experiences across a wide range of devices and wide range of platforms. This has important implications for game developers, game networks, and those companies looking to develop and offer game-streaming services (including Google, Microsoft, and many other major players). Because gamers own and use multiple devices for gaming, it’s only logical that they would want to be able to run their games on as diverse a range of devices as possible—even across those with very different screen sizes, as well as computing and graphics power. We've already seen the gaming industry start to adjust their development plans to this new reality, and the multi-platform, multi-device support for games like Fortnite are clearly a sign of more that is to come. In addition, because of this move, most consumers are going to expect higher and higher graphics quality and gaming performance from all their devices. This will likely lead to increased focus both on the built-in graphics and gaming capabilities of devices, as well as demand for more cloud-based solutions that can leverage the increasing number of powerful GPUs from Nvidia and AMD now making their way onto servers. 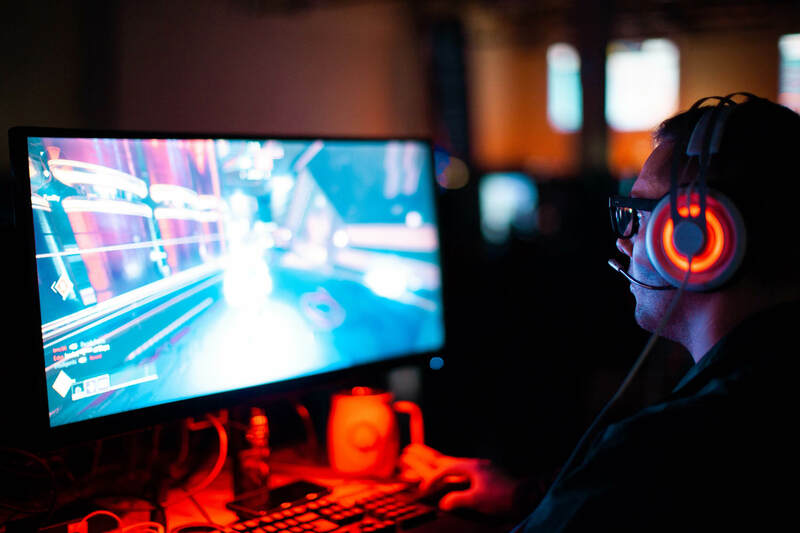 In addition, the low-latency potential of upcoming 5G networks could prove to be very important (and in demand) for gamers who want to extend a high-quality gaming experience to more devices and more places. Interest in gaming shows no signs of slowing down, and the devices, technology, games, and services that power it are likely going to enjoy many years of robust growth. It’s an exciting time for the gaming world, and it’s certainly going to be a fun industry to track and watch. Look for additional details on the TECHnalysis Research Multi-Platform Gaming Report in future columns.